There are of course several ways to cultivate this openness of mind, notably meditation and prayer. But in this blend of memoir and history Pollan focuses on the medicinal, specifically a trinity of psychoactive drugs: LSD, mescaline, and psilocybin. The term “psychedelic,” coined in 1956, derives from the Greek “mind manifesting,” and Pollan contends that it is precisely this that these substances hold the power to do. That is, by releasing us from the grip of our frail yet blinding egos, the drugs expand our minds and worldviews, opening us to all sorts of wondrous insights. Pollan takes no credit for this epiphany, but rather traces it to the late 1930s and the work of Albert Hofmann. A young scientist on the payroll of drug maker Sandoz Laboratories, Hofmann was assigned to synthesize certain molecules produced naturally by ergot, a fungus known to infect grains and to contain toxic alkaloids. When baked into bread consumed by humans, these toxins can provoke a sort of madness marked by hallucinations and neurological anomalies, and in extreme cases, also a loss of limbs and even death. And yet, surprisingly, ergot has its upside — it can help stave off bleeding, for example, or speed up a lagging childbirth. Sandoz scientists isolated a dozen ergot alkaloids in the hope of finding a few that might prove therapeutic. One of these Hoffman dubbed lysergic acid diethylamide, or LSD-25. Testing LSD in animals, Hoffman noted little of interest and quickly moved on to other things. But in 1943, feeling an inexplicable urge to reinvestigate, Hoffman exposed himself to LSD and experienced “unusual sensations’’ that developed into a two-hour “stream of fantastic pictures, extraordinary shapes with intense, kaleidoscopic play of colors.” A decade later, Hoffman’s rhapsodic vision of the world being “newly created” through a single dose of a powerful mind-altering medication was vividly reprised by the author Aldous Huxley in “The Doors of Perception,’’ a book-length essay detailing a single afternoon of “sacramental visions” brought on by a mere four-tenths of a gram of mescaline. In the decade that followed, psychedelics were used primarily in research, partly in the hope that they would serve as a model for studying psychopathological conditions such as schizophrenia. While this didn’t pan out, the drugs did show some promise in the treatment of various mental disorders. Some researchers went so far as to experiment on themselves, and not a few enjoyed the experience. By the 1960s, reports of these experiments had become common in the popular press, most notably those of Harvard psychologist Timothy Leary, whose outspoken (and increasingly outrageous) championing of LSD made him the most visible spokesman for the psychedelic movement. 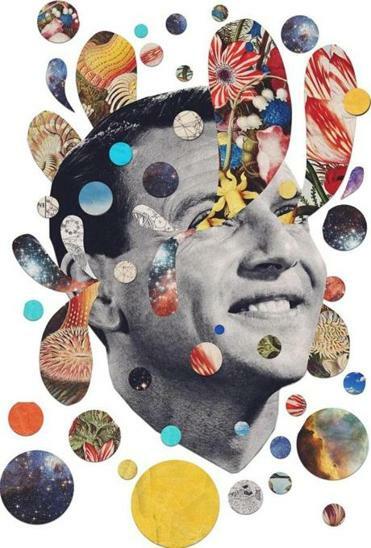 Leary and his merry band of followers claimed that psychedelics brought mystical and spiritual enlightenment and also a cure for any number of psychological “afflictions,” from alcoholism to homosexuality. At the same time, Leary’s slogan “Turn on, tune in, and drop out,” explicitly linking drug use to the rejection of societal norms and obligations, alienated not only worried parents, but many of his soberer scientific colleagues. In 1965, the federal government escalated its crackdown on the drugs, and by the end of the decade, some scientists had condemned the use of psychedelics as both physically and psychologically dangerous. These dangers turned out to be terribly exaggerated. Still, therapeutic interest in the drugs, after peaking in 1970, quickly fell out of favor for what Pollan argues were all the wrong reasons. Unlike so many other mind-altering elixirs, psychedelics are not addictive, and in otherwise healthy users seem to have few if any permanent deleterious effects. Meanwhile, research suggested — and continues to suggest — that the drugs do in fact hold significant promise as a treatment for alcoholism, depression, anxiety, and a number of other psychological disorders. Such quibbles aside, Pollan’s deeply researched chronicle will enlighten those who think of psychedelics chiefly as a kind of punchline to a joke about the Woodstock generation and hearten the growing number who view them as a potential antidote to our often stubbornly narrow minds.